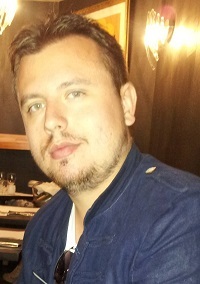 Tudor Petcu is a doctoral student of the Faculty of Philosophy of the University of Bucharest, Romania. The interview given by Michael Inwood who was a Fellow and Tutor in Philosophy at Trinity College, Oxford from 1967 until 2011. He is now an Emeritus Fellow of the College and lives in Oxford. The interview of Tudor Petcu with Basil Lourié. Basil Lourié born in 1962, St Petersburg, Russia. PhD and Dr habil. in philosophy. Editor in Chief of the Scrinium. Revue de patrologie, d'hagiographie critique et d'histoire ecclésiastique and of its two supplement series: Orientalia Judaica Christiana and Scripta ecclesiastica. Interests: Patristics, Christian Origins, Second Temple Judaism(s). Books in Russian: 1. Gregory of Nyssa, De hominis opificio (1995; 2nd ed., 2000) (tr. and scholarly commentary). 2. Vocation of Abraham. The Idea of the Monasticism and Its Realization in Egypt (2000). 3. History of the Byzantine Philosophy. Formative period (2006) ([some fragments on the publisher's web-site http://www.axioma.spb.ru/z_byz_phil/intro.htm]). Serbian translation (2010). 4. Introduction to the Critical Hagiography (2009). 5. Russian Orthodoxy between Kiev and Moscow (2009; 2nd ed., 2010).